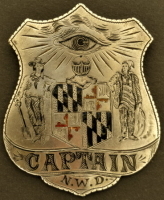 Speaking with Jim Hurley once at a gun show he told me about having this badge reproduced from a picture of the original. 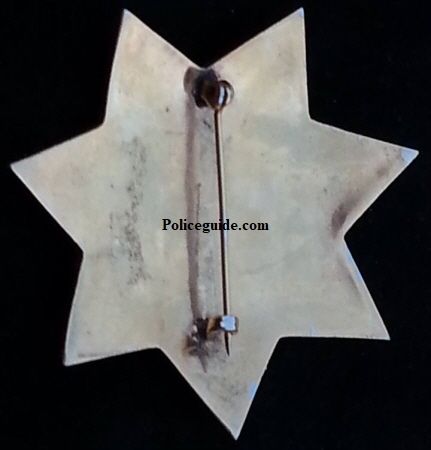 He said he sent the picture to the company that was making badges for him and they were not sure if the badge was engraved or had raised decorations. 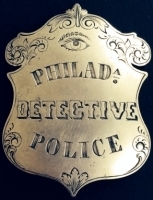 They guessed wrong and decided upon raised however the original was indeed hand engraved. 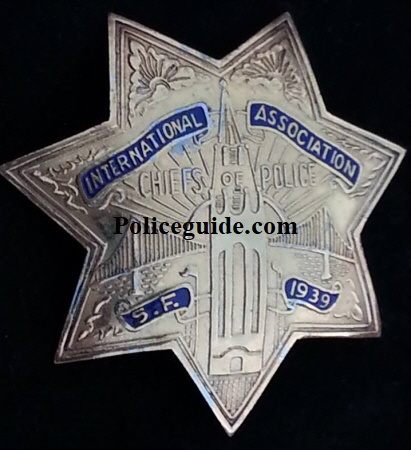 Jim told me that this badge was created from a picture of a much smaller 1/3 size badge that was suspended from a metal ID holder for the the Chiefs of Police convention held in San Francisco in 1939. 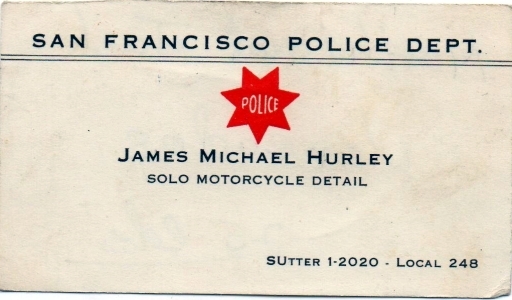 Jim Hurley was a San Francisco police Inspector when I met him at a gun show. 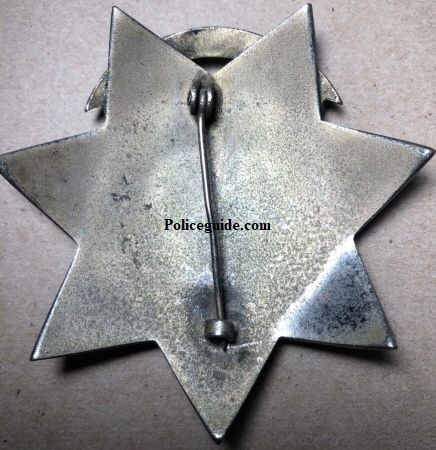 He was showing me badges he was having made and selling as props to go with old guns and for old west re-enactors. He told me he got the idea when he was walking around an Asian trade fair in San Francisco. 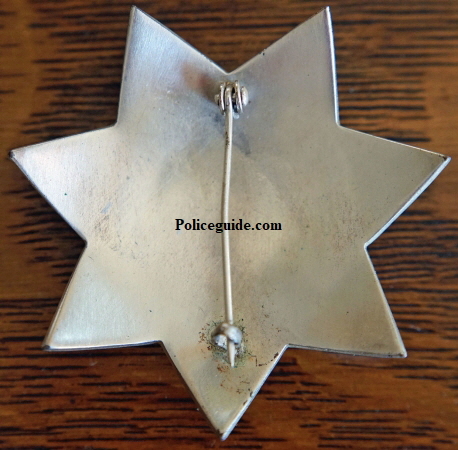 One of the vendors told him he could make the badges for the SFPD much cheaper than they were made in the US. 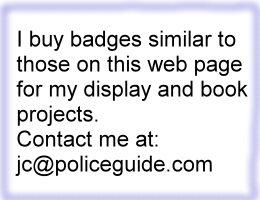 He said he told the vendor that would never happen but that he might want a quote on badges he could sell at gun shows and that was the start of the Hurley badges as they have come to be known. 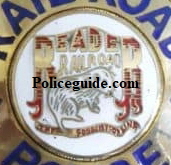 These three seals are simple changes to the Railroad Police badges. 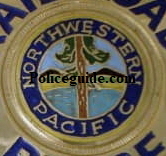 Reproduction Press S. F. #1331 Pass Issued by Chief of Police. 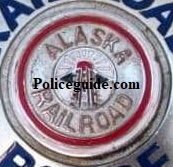 All of this style repro were number 1331. 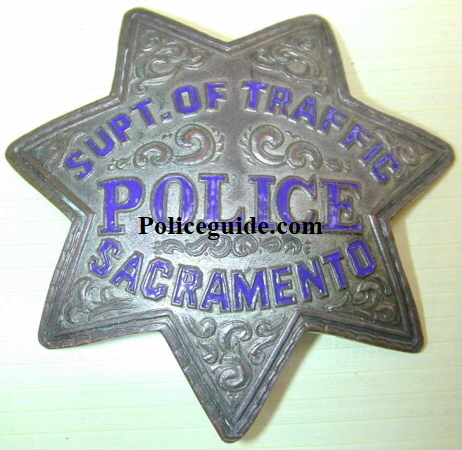 The original authentic badge was made of sterling silver, was smaller and did not have all the blue enamel. 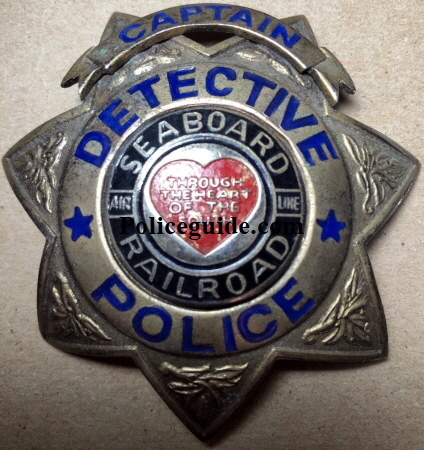 Seaboard Captain Detective Railroad police badge created by Jim Hurley. 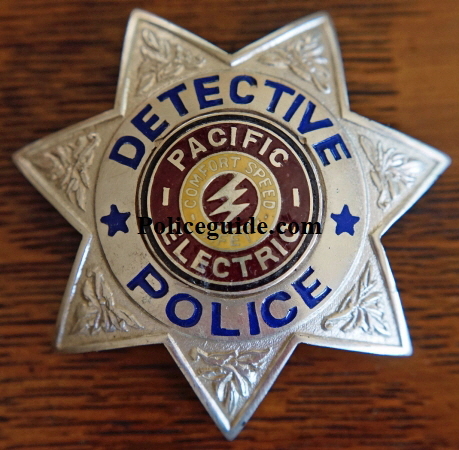 Pacific Electric Detective Police fantasy badge created by Jim Hurley.